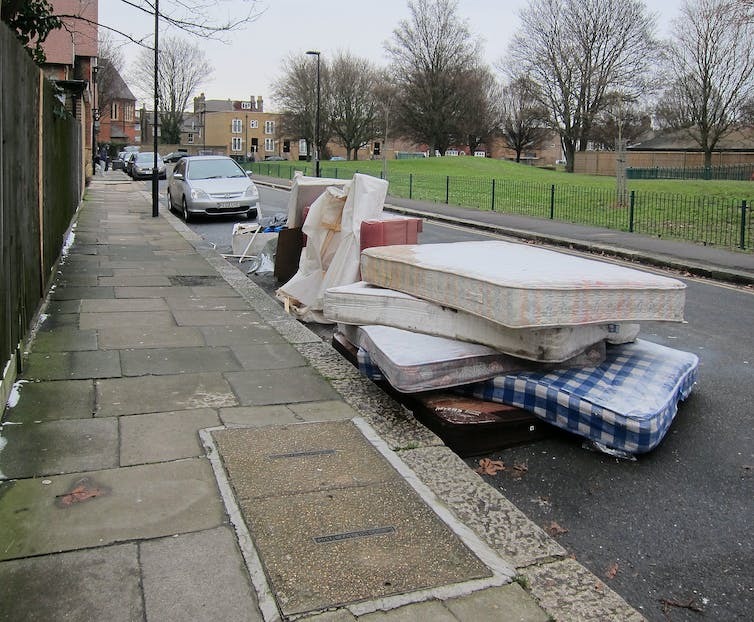 Soft Landing recycles the materials of mattresses that otherwise get dumped in landfill. 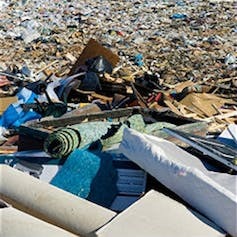 Carpet takes over 50 years to break down in landfill. Looking back, an overarching reason for limited private sector participation in green bonds was that “green credentials” were less important in past corporate cultures. However, with the cultural shift taking place as seen at COP21, more entities are expected to “green-up” their business models. The outlook on market volume growth for green bonds is overwhelmingly positive. Some forecasts are suggesting the green bond market will treble again this year as it did in 2014, touching US$100 billion. Given the growth and engagement on the “greening” of finance, green finance could soon become mainstream. Among the various interests at the Paris climate talks, it is arguably the voice of business that has emerged most clearly. Many business leaders are now saying that if the world is intent on reducing greenhouse gas emissions, there must be a worldwide price on carbon and a framework for linking the 55 schemes that exist in areas such as China, the European Union, and California. Momentum has been building since May, when six of Europe’s largest oil and gas companies, including Royal Dutch Shell and BP, issued a letter calling for global carbon pricing system. That month, leaders from 59 international companies also signed a statement calling for carbon pricing to feature in the Paris agreement. Advocacy has continued during the Paris negotiations. For example, Patrick Pouyanné, chief executive of French oil and gas giant Total, argued that the shift from coal to gas “will not happen without a carbon price”. He suggested that a price of US$20-$50 in Europe was required (well above the current price). Oleg Deripaska, president of the world’s largest aluminium producer Rusal, put the issue in stronger terms, describing the idea of voluntary national emissions commitments (upon which the Paris agreement largely hinges) as “balderdash”. A success [for most people] would be lunch at a nice French banquette with foie gras and oysters. But no, seriously, it is carbon tax or die. Carbon tax on the menu? It is not clear whether a carbon price will figure in the Paris agreement. But it is important to consider what is motivating some of the world’s highest-emitting companies to advocate for a carbon price. And what other, perhaps more intrusive plans for tackling climate change would be taken off the table? Businesses have a stronger presence at COP21 than at any previous climate negotiation. They know which way the wind is blowing and realise that governments might require painful and complex interventions to reduce emissions. Moves are afoot to decarbonise the world economy some time after 2050 (see Article 3 of the latest draft text, and there has been strong advocacy for a moratorium on new coal mines. Helge Lund, chief executive of British oil multinational BG Group, argues that a carbon price reduces government intervention and attempts at “pick[ing] winners in terms of energy technologies.” Instead, he argues: “the market will dictate the most efficient solution”. Forecasts from the International Energy Agency suggest that fossil fuels (including coal) will provide the bulk of energy demand for developing countries going into the future. Companies intend to meet that demand. Thus, Shell can simultaneously advocate putting a price on carbon and make plans to drill in the Arctic where production will not begin until 2030. While that might sound perverse, there is actually nothing inconsistent about those two positions. One way for energy companies to maintain economic growth in a carbon-priced economy is to shift investments gradually away from coal and oil, and towards gas. That is why Shell has paid US$70 billion for the BG Group. …oil companies’ skills and assets mean that finding and extracting gas is a short and natural step. Moving into renewable energy is a much bigger leap. This can be seen in the many examples where energy companies have struggled to develop other forms of energy, such as BP’s ill-starred attempt to brand itself as “beyond petroleum” and invest US$8 billion over ten years in renewable energy. The company has since backtracked on that goal, has left the solar market, and has no plans to expand its onshore wind investments. Of the 185 countries that have submitted climate targets ahead of the Paris talks, more than 80 have referenced market mechanisms. Clearly, a price on carbon is going to play a role in attempts to tackle climate change. This is a good thing but it is not sufficient and must not become a distraction from other serious interventions. The carbon budgets associated with a 2℃ threshold demand profound changes to the consumption and production of energy … the IPCC’s 1,000 gigatonne budget requires an end to all carbon emissions from energy systems by 2050. A carbon budget consistent with 2℃ (let alone 1.5℃) requires a dramatic reversal in energy consumption and emissions growth. Governments should treat overtures from business with caution, even if businesses are making the right moves. They need to ensure that these moves are made at a speed that suits the climate, rather than just business. The most surprising revelation here at the Paris climate conference has been the astonishing shift in the world of investors over the past 12 months. There is now unprecedented momentum towards participating in the transition to a low-carbon economy, and the view at the “big end” of the conference is that a strong agreement will provide an extra shove. It’s unstoppable now. Contrast that with Australia, for instance, where the attitude of the business community has always been “we don’t want to be at the forefront of global action”. The old fossil fuel companies still have the dominant voice in the public debate and in the policy process. It may take another year for what’s happening across the world to sink in, but the complaint will increasingly become “we don’t want to be left behind”. So what are the dimensions of this shift in business and investor sentiment? I wrote last week about how investors are running ahead of governments, as shown for example by the quiet revolution in the growth of green bonds, and by the Montreal Carbon Pledge under which large investors have committed to measuring and reporting on the carbon footprint of their portfolios. In a little over a year, this pledge has been signed by investors controlling more than US$10 trillion in assets. More immediate abatement action is to be found in the so-called Science Based Targets initiative, under which 114 large corporations have pledged to reduce their emissions in a way consistent with the 2℃ objective. Big corporations including Ikea, Coca-Cola, Dell, General Mills, Kellogg, NRG Energy, Procter & Gamble, Sony and Wal-Mart have already signed up and are implementing plans. Dell, for example, has pledged to reduce emissions from its facilities and logistics operations by 50% by 2020 (relative to 2011 levels), and to reduce the energy intensity of its product portfolio by 80% by 2020. These corporations have not decided that principles should outweigh profits; they have decided that, looking over the next several years, sustaining profitability requires that they shift to low-emission energy. One factor weighing on corporate minds is exposure to risk in energy markets, which are likely to be more volatile and uncertain partly because of the growing challenge posed to fossil energy. Central bankers are now anxious that a rapid, structural shift in energy markets and the destruction of asset-value in some of the world’s biggest companies may disrupt the global financial system. As I reported, the governor of the Bank of England Mark Carney speaks of the need for an “orderly transition” to a zero-carbon economy. This unprecedented business commitment feeds into, and is partially stimulated by, the Lima-Paris Action Agenda, which wound up yesterday and must be considered one of the standout successes of COP21. The number of mayors, governors, chief executives and investment managers who have arrived here to declare publicly their commitment has been unparalleled. Yes, the message of this conference is that something big has shifted in the world.